Aww. Perfect commentary. Had me in stitches. Hahaha! A little inspiration drawn from the two announcers in the Disco Dressage vid, eh? Now if that's not adorable, I obviously have no sense of what is or isn't. Lots of "Bravo's!" from this corner! "Encore, Encore!" The toes! The toes! They slay me! Wee little pink nibblets they are! That was one of the funniest posts you've ever done. I read the whole commentary outloud in the voice before scrolling down and when I finally scrolled I laughed so hard! Thanks! 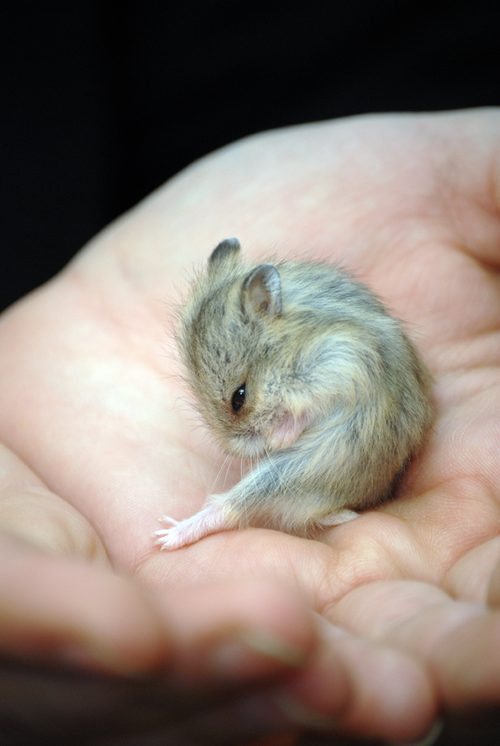 I am so getting a tutu for my hammie. He puts everything into his art, and it shows. Bravo! The tail stubtitude is just too moiche. I am slain. Whatever you do, don't applaud with the hammie in your hand! You'll squish him! Oh. My. Sweet. Fuzzy. Goodness. The Toes!!! So miniscule & dainty! Too wee even for the nibblinz! That pinkie toe! I've never seen one smaller. I shall die now. That little extended foot and teensy toes are just killer. Laurie C.... good point! Hee! But Palm Sunday was WEEKS ago, wasn't it? I get SO EXCITED just hearing the music for "Planet Earth"! New episode...now! yay!! Has there ever been a ham that WASN'T adorable? No? I didn't think so either. heh heh. Good one Aubrey. Just watched Edward Scissorhands for the first time in YEARS, and now I'm craving more slightly bizarre movie fun. Although I like to think that this was one of those dramatic modern dances that always make me suppress giggles as everyone around me apparently is in awe of the masterpiece they just witnessed. "Sank yew, sank yew. Yew air tew kind. Sank yew." Wow, what's the head-to-body ratio on this little dewd?? She is so sweet! Is it just me or would she make a perfect Josephine from Kafka's 'Josephine the Singer'? Naridu, please, NO MORE KAFKA! I love, love, love him, but I have been slowly DYING writing this essay on The Trial. I thought it'd be good to take a refresher on Lit. writing. I think it's sucking my soul away. Like a Beatrix Potter illustration. A splendid picture and a brilliant commentary. You can carry it around, and it performs all your rodent tasks. Hey, at least now the dancing rat has a partner to perform a _pas de deux_ with - the ballerina in the tutu has to be small enough so that the male dancer can toss her into the air and catch her again. That photo is fantastic. Whoever took it has skilllllz, dewd. Heeee. Why am I thinking of the word "swashbuckling"? Swashbuckling, yes! He *ees* Despereaux! Norville, your tiny dances and delicacy are exSQUEEEsite! You have stole mah heart! I think it has all been said, but do note the one supraextended toe. This one is certainly exSQUEEEsite, I am quite in love. by clory i's 'im! as io livve und breathe! tha's the world renouned ham hand danca! *bows* in tha living flesh an fur! Oh, the tiny toes. . .